The annual GI Film Festival San Diego, through Oct. 22, at various venues countywide. Visit gifilmfestivalsd.org for details. The annual San Diego Arab Film Festival, through Oct. 21 at Museum of Photographic Arts in Balboa Park. Visit sandiegoaff.org for details. 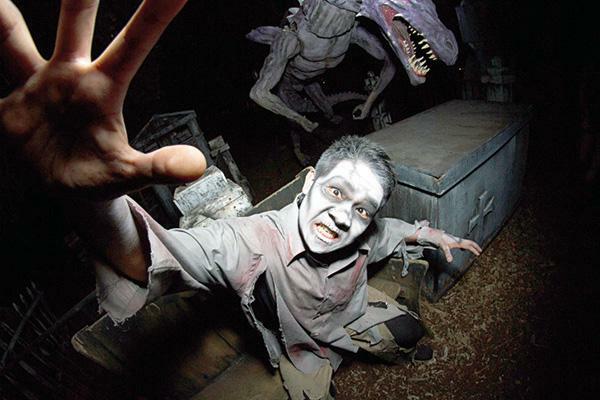 America Haunts ranks The Haunted Trail in Balboa Park as the second-best attraction in the U.S. for Halloween thrills and chills. Through Oct. 31 at the corner of Balboa Drive and Juniper Street. Closed Oct. 23. 7-11 p.m. $25 general admission; $37 VIP admission. bit.ly/2ydQXSP. San Diego City College Dramatic Arts Program presents the Shakespearean comedy, at Saville Theatre, 15th Avenue at C Street, Downtown. 8 p.m. Oct. 20-21 and Oct. 27-28; 2 p.m. Oct. 22 and Oct. 29. $10-$15, cash only. Add fee for online purchase at bit.ly/2gqHDn9..
Friends of the Mission Hills Library book sale, 9:30 a.m. to noon; “The Musical Potpourri Concert,” 2 p.m., Mission Hills Library, 925 W. Washington St. 619-692-4910. Kathi Diamant to led a discussion of “Mothering Sunday” by Graham Swift, 10-11 a.m., Kensington-Normal Heights Library, 4121 Adams Ave. 619-533-3974. Live music and dancing, folk dance performances, Armenian beer and wine, Armenian food and pastries, crafts for kids. Noon to 9 p.m., St. John Garabed Armenian Church, 4473 30th St., North Park. $3 donation. Free for children younger than 12. stjohngarabed.org. Great Autos of Yesterday, the largest LGBT car club on the West Coast with more than 1,000 members, cruise into town on the third Saturday of the month. 1-4 p.m., Normal Street at University Avenue, Hillcrest. Free. greatautos.org. 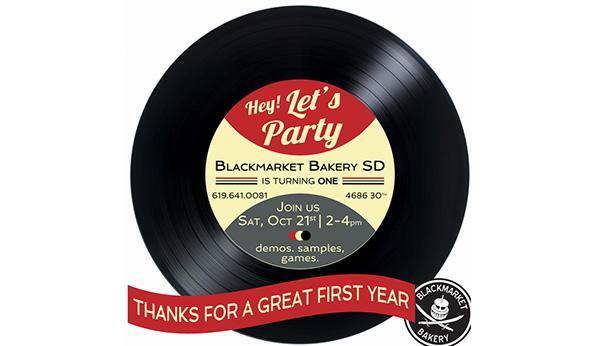 Celebrate the first anniversary of Blackmarket Bakery San Diego, 4686 30th St., North Park. Cake demos, seasonal samples and party games, 2-4 p.m. Free, but register at bit.ly/2wJhupJ. Celebrate the changing season with a walk-around Bankers Hill along Fourth and Fifth avenues. Grab your map at St. Paul’s Episcopal Cathedral, Fifth Avenue at Nutmeg Street, to learn about the participating businesses. $15 pre-sale; $20 the week of the event. bit.ly/2hB4XOI. Opening reception 6-8 p.m. for “Orange is the New Black” exhibit, Art on 30th gallery, 4434 30th St., North Park. Through Nov. 18. Visit arton30th.com or call 619-894-9009. A show inspired by Mojave Desert by Ashley Fenderson, recipient of the 2017 Art Produce/SDSU MCA graduate award exhibit. Exhibit title is a phrase describing a strange, even slightly sinister feeling that’s hard to explain. Through Oct. 30. Reception 6-8 p.m. Oct. 21. Art Produce, 3139 University Ave., North Park. 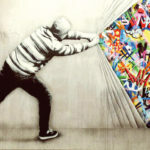 Artproduce.org. Tei Shi and Twelve’Len perform a 21-and-older show, 8:30 p.m., Soda Bar, 3615 El Cajon Blvd., North Park. $14-$17. 619-255-7224 or sodabarmusic.com. Live music and dancing, folk dance performances, Armenian beer and wine, Armenian food and pastries, crafts for kids. Noon to 7 p.m., St. John Garabed Armenian Church, 4473 30th St., North Park. $3 donation. Free for children younger than 12. Visit stjohngarabed.org. Have Mercy, Boston Manor, Can’t Swim, and A Will Away perform at 6:30 p.m., The Irenic, 3090 Polk Ave., North Park. All ages. $15-$17. Ticketfly.com. Write Out Loud’s story concert reading on “The Windy City: Stories From and About Chicago,” 7 p.m. Old Town Theatre, 4040 Twiggs St. $25. 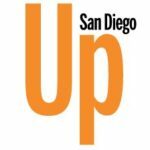 writeoutloudsd.com or 619-297-8953. Knuckle Puck, Movements, With Confidence and Homesafe perform at 6:30 p.m., The Irenic, 3090 Polk Ave., North Park. All ages. $17-$20. Ticketfly.com. Gourmet food trucks gather 5–8 p.m., 3030 Grape St., South Park. bit.ly/2vMQDw2. Food trucks gather 6–9 p.m., Smitty’s Service Station, 3442 Adams Ave., Normal Heights. bit.ly/2umVaVy. “Unherd TV’s” Mike Halloran presents J. Hofstee, Ronhaar and Shane Hall, 9 p.m.-midnight, The Merrow, 1271 University Ave., Hillcrest. 21-plus show. $5 at the door. 619-299-7372. Circulate San Diego’s Momentum Awards celebrate mobility, great neighborhoods, connected communities, and sustainable development while recognizing the achievements of visionary civic leaders, local governments and businesses. 5:30 p.m., Natural History Museum, 1788 El Prado, Balboa Park. $60. 619-544-9255, ext. 310. Kids can flex their engineering and architectural skills at this STEAM event using LEGO pieces, 6-7 p.m., North Park Library, 3795 31st St. 619-533-3972. A new mystery novel will be discussed, 6:30-7:30 p.m., Mission Hills Library, 925 W. Washington St. 619-692-4910. 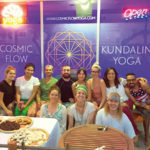 Uplifting and spiritually inspiring experiences for all, 7-8 p.m., Universal Spirit Center, 3858 Front St., Hillcrest. $20 donation requested. bit.ly/2iof1yB. 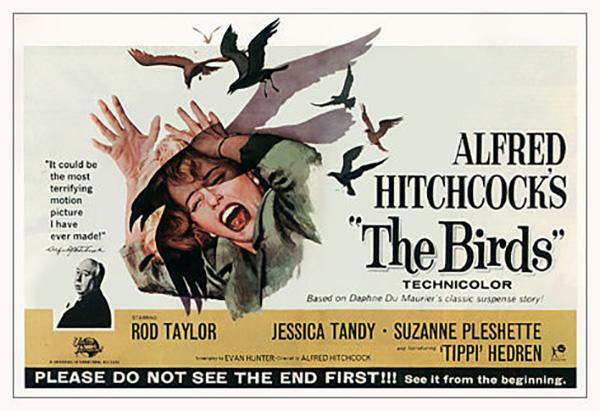 Alfred Hitchcock horror classic. Through Oct. 28, 8 p.m. Cinema Under the Stars, 4040 Goldfinch St., Mission Hills. $15. topspresents.com or 619-295-4221. Princesses, superheroes, pirates and other costumes expected at preschool story and craft time, 10 a.m., North Park Library, 3795 31st St. 619-533-3972. SoNo Neighborhood Alliance fall forum “Density Is Here: Now What?” features environmental and land-use attorney Craig Sherman talking about the city’s “Housing San Diego” plan that targets “urban infill” projects. 6 p.m. Lafayette Hotel, Swim Club & Bungalows, 2223 El Cajon Blvd, North Park. Free. The nonprofit informs and engages residents of South Park and North Park about neighborhood issues. 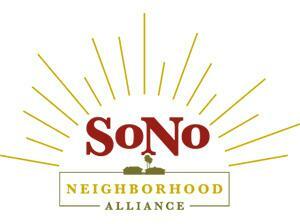 sonoalliance.org. Kensington Talmadge Business Association mixer, 5:30 p.m., UrbanLife Café at Copley-Price Family YMCA, 4300 El Cajon Blvd., City Heights. RSVP to vp@kenbiz.org. Gathering place for those with memory loss, caretakers and those worried about memory problems. 10-11:30 a.m., second and fourth Fridays. First Unitarian Universalist Church of San Diego, 4190 Front St., Hillcrest. Donations appreciated. bit.ly/2vMSsZV. Turnover, Elvis Depressedly, and Emma Ruth Rundle perform at 7 p.m., The Irenic, 3090 Polk Ave., North Park. All ages. $16-$19. Ticketfly.com. 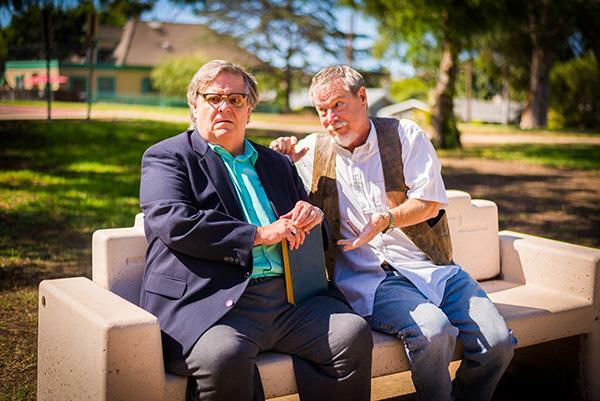 San Diego Actors Theatre presents Edward Albee play that explores themes of isolation, loneliness, miscommunication and dehumanization in a commercial world. 2 p.m. Oct. 28-29, Nov. 4-5 and Nov. 11-12 at Pioneer Park, 1521 Washington Place, Mission Hills. $20. sdactorstheatre.net or 619-997-2589. Live entertainment, fright zones, food trucks, outdoor dance party and a costume contest with celebrity judges and audience voting by text. 6-11 p.m. on Normal Street at University Avenue, Hillcrest. Benefits The San Diego LGBT Community Center and Hillcrest Business Association. $20 general admission or $45 VIP presale; $25 or $55 day of event. bit.ly/2xAN1xh. Free craft project for kids, costume parades and contests, other fun events, 11 a.m.-4 p.m. throughout Balboa Park, including at 12 museums. Details at bit.ly/2fZ2e1d. Artwork by local artists displayed and sold, 6 p.m., mezzanine, North Park Beer Company, 3038 University Ave. Halloween costume contest at 8 p.m. northparkbeerco.com or 619-255-2946. Monthly event for knitters of all levels, 10-11:30 a.m., Kensington-Normal Heights Library, 4121 Adams Ave. 619-533-3974. California Ballet Company presents full-length classic, Oct. 28-29, Civic Theatre, 1100 Third Ave., Downtown. $25-$125. californiaballet.org. 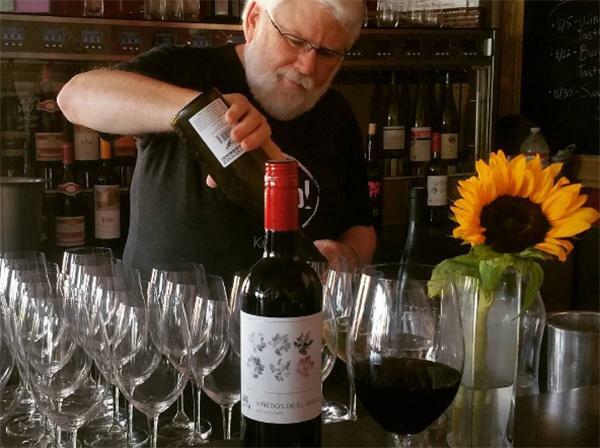 Taste over a dozen wines from one of France’s most coveted wine regions, 4-7 p.m., Village Vino, 4095 Adams Ave., Kensington. $35 (fee waived with purchase of two bottles of wine). RSVP to 619-546-8466. Local comedians perform 8-10 p.m., Twiggs Coffeehouse, 4590 Park Blvd., University Heights. Free. Comedyheights.com. 9 a.m.-4:30 p.m., Harney Street and San Diego Avenue, Old Town. Also held on Sundays. 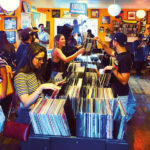 Oldtownsaturdaymarket.com. 9:30 a.m.-1:30 p.m., B Street between 27th and 28th streets, Golden Hill. Sdmarketmanager.com. The annual San Diego Arab Film Festival, Oct. 28-29 at AMC Mission Valley 20. Visit sandiegoaff.org for details. 9 a.m.-2 p.m., Normal Street between University and Lincoln avenues. Hillcrestfarmersmarket.com. Parents can kick back with a beer while kids socialize and paint mini pumpkins, 1-3 p.m., North Park Beer Company, 3038 University Ave. $5 donation will benefit Friends of Jefferson Elementary School. northparkbeerco.com or 619-255-2946. 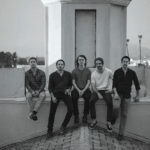 Parachute performs “An Intimate Acoustic Evening,” along with opener Austin Plaine. 7:30 p.m., The Irenic, 3090 Polk Ave., North Park. All ages. $129. Ticketfly.com. 6:30-8 p.m., weekly meeting at St. Luke’s Episcopal Church, 3725 30th St., North Park. 619-694-9148. bit.ly/2vMOGje. Gourmet food trucks gather 5-8 p.m., 3030 Grape St., South Park. bit.ly/2vMQDw2. Food trucks gather 6-9 p.m., Smitty’s Service Station, 3442 Adams Ave., Normal Heights. bit.ly/2umVaVy. The Center for Ethics in Science & Technology presents a talk by Dr. Evan Y. Snyder from the University of Pennsylvania who is regarded as one of the “fathers of the stem cell field.” Do we edit genomes to prevent diseases or defects? Do we create “designer babies”? Who decides? 5-7 p.m., RH Fleet Science Center, 1875 El Prado, Balboa Park. Free. Register at bit.ly/2hXHQSi. North Park Book Club gathering, 3 p.m., North Park Library, 3795 31st St. 619-533-3972. 3-7:30 p.m., North Park Way between 30th Street and Granada Avenue. Northparkfarmersmarket.com. — Compiled by Ken Williams. Email calendar items to ken@sdcnn.com.